Mermaid Currency - Dollars, Coins and stamps are here to stay in the global community despite the mermaid being a mythical creature. 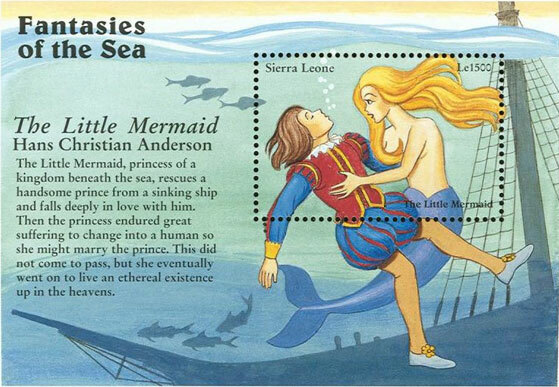 They have been used all over the world — even Mermaid Dollars have made it into the mainstream courtesy of Disney. 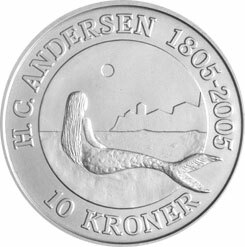 In 2005 - The 10 Kroner silver and gold Mermaid Coins from Denmark were released and are now sought after by collectors. Mermaid Coins of Palau have also been catching the attention of many collectors since 1993 when they first appeared. These color coins (the reverse side of the coin is in color) demonstrate how important the oceans are to everyday life and the livelihood of many folks as well as the many tales by fisherman.